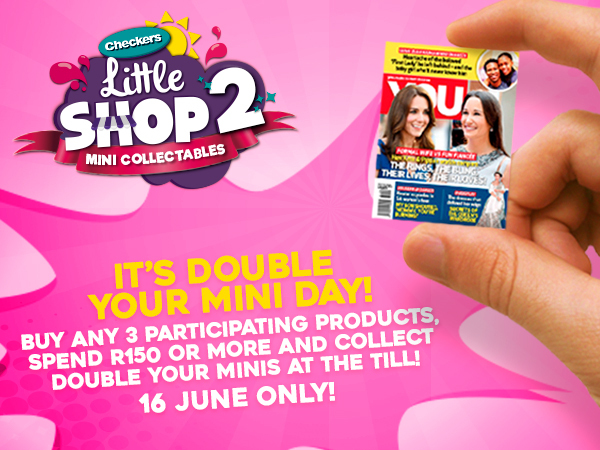 Tomorrow you can get double the number of Checkers Little Shop minis! All you have to do is go to your nearest Checkers and spend R150 or more on your shopping, which must include three participating products. So if you’re one of the thousands in love with these cute mini versions of 30 of South Africa’s favourite brands, grab this opportunity – ONLY on Youth Day.